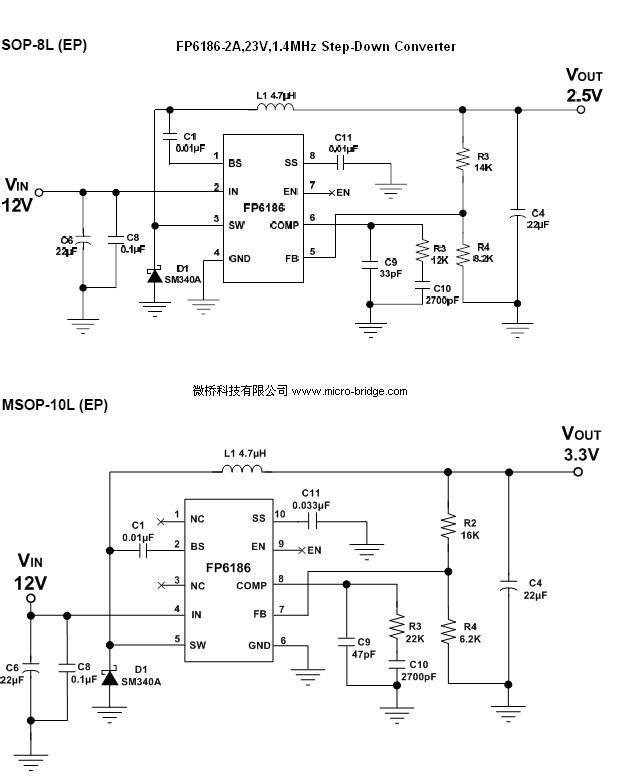 The FP6186 is a buck regulator with a built-in internal power MOSFET. It can provide 2A continuous output current over a wide input supply range with excellent load and line regulation. Current mode operation provides fast transient response and eases loop stabilization. This device includes cycle-by-cycle current limiting and thermal shutdown protection. Adjustable soft-start reduces the stress on the input source at power-on. The regulator only consumes 25μA supply current in shutdown mode. The FP6186 requires a minimum number of readily available external components to complete a 2A buck regulator solution.